Yes, I said it, Boss Babes. You know who you are!!! Yes, even YOU! While we haven’t officially met (yet), I would love if you joined me and took a different approach to what the Full Moon this weekend has to offer (officially July 9, 12:07 am EST). Imagine this: You are the CEO of this incredible company called YOUR LIFE. And since you are the Boss, you are 100% responsible for how the company plan unfolds. And like any good boss, there is a time to plan a party (Christmas in July, anyone?) and take note of your Company’s accomplishments. The Capricorn Full Moon calls us to celebrate what powerful seeds we have sown (and harvested) as much as it is about releasing what does not and cannot serve the New Story we are writing for our lives. How good might it feel if we took some time this weekend to reflect on all the joy, beauty and love we have brought into our lives? Perhaps you have embraced a more loving self-image, a gentler pace in life, a greater and kinder consciousness, sweeter relationships, a prosperity mindset or increased opportunities. Whatever it might be for you, let’s celebrate. Consider this: Where do we ALREADY have what we want? What is happening in our life right now that ALREADY brings us joy? And when you are cleaning up from this party and have a reflective moment or two, you could (like any progressive CEO) see what goals your Company needs to revise, programs you need to drop, pink slips you might write for relationships that are draining you rather than uplifting you, old victim stories that you keep on telling, or thoughts that are no longer serving you. For those of you who would like to take a step or two to make some of those changes and create a truer vision, I invite you to read (or re-read) Love Letter 10, an article I wrote last year and revised this week for another e-publication. Two years ago, I firmly placed myself in charge of my life in a truly liberating way, taking that one step that changed the entire trajectory of my life. You see there are those big life moments where we press the eject button on something that is no longer working, catapulting us to a new way of being and living. However, those life-changing moments are built on a concrete foundation of countless inner and outer actions — one step at a time. A Capricorn Full Moon activates that part of you that shows up as the archetypal Boss, the CEO, and the Director of your own life — wherever you need to. And as with all archetypal energy, we are called to evolve what being the Boss actually means. Do you feel free? Do you feel empowered to direct your life in a way that is in alignment with your Truth? Maybe you realize some things absolutely need to change. 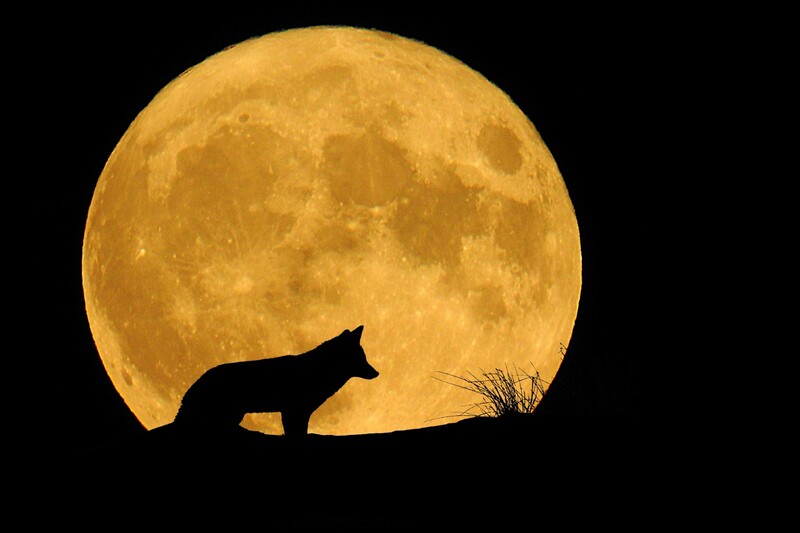 Filled with heightened intuition, insight and emotion, the Full Moon energizes and illuminates the Way. We have set this lifetime up so that if we fall back into unconscious behaviour patterns, the wise, compassionate Parent, Advisor and Elder in ALL OF US will guide us back to the path we agreed to walk upon (just check your Saturn, Uranus, Neptune and Pluto profiles who will certainly assist you in that department!!!). However, we have to call on the Parent, the Advisor or Elder to let Him or Her in. Some people fear welcoming the guidance as changes to the Life Plan can seem daunting without the proper inner and outer support. But you’ve got this, I promise! The support is there and when we learn how to call on it, we also get to call the shots in our lives, claiming a bigger, bolder direction that includes us as joy-filled, creative, SOVEREIGN CEOs, helping others find the way to the top of their own Company’s Life Plan. Until we connect again, I wish you the most beautiful weekend celebrating what is already good in your life and all the good that is to come. CALL TO ACTION: There’s an invitation at the bottom of the Love Letter for a seven-day visualization/action challenge. If you take it, please let me know what changes happen for you. It’s much more fun if we do this journey together, so please feel free to connect.